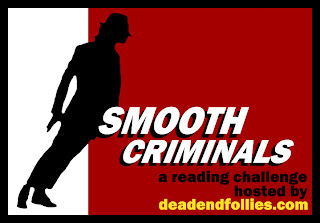 This challenge introduced me to Ruth Rendell, Dashiell Hammett and James M. Cain, three authors whose work I intend to further explore, therefore it was a great experience. I noticed that not all the characters in the books I read committed crimes because they were marginalized (i.e, Dorian Gray, Arthur Johnson, Godfrey Ablewhite) No, they weren't 'marginalized' but they were still susceptible to social illness...and they did bad things because of those addictions, insecurities, impulses, etc. I'm not sure if we're supposed to draw a certain conclusion on Dennis Lehane's statement (mentioned briefly on Ben's sign up post) about the social novel turning into crime fiction. Honestly, I don't know the entire context of that claim....but based on my reads for this challenge, I think it's safe to go with the idea that not all social novels are now crime fiction, but almost all crime fiction are social novels. I don't know, it's tough. It's all connected I guess...and I would need to do more reading to support the idea I whipped together above. Either way, it's something to think about and it's something I'll keep in mind when reading other social novels and crime fiction.